Allow us to introduce ourselves. GLYN! A reliable partner you can count on in every situation – what could be more important when running a business? Schedules and deadlines must always be kept – but that is not always easy. At GLYN, we have made it our mission to make your life a little easier. GLYN is defi ned in particular by its active involvement in the design process of the end product. This means you can be sure that your component preferences are implemented to bring you high quality, available items. We also have excellent supply relationships with manufacturers and distributors worldwide. This means we can even supply older, less readily available components on time. 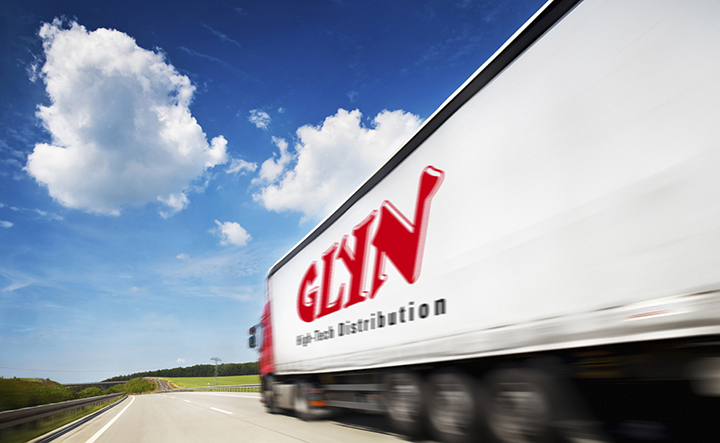 At GLYN, we are not just any old logistics partner. We actively get to grips with your product and our items. Our DIN 9001:2008 certifi cation speaks for itself. On the one hand, we offer universal „C parts“, which can be used in many different applications, depending on requirements. On the other hand, we supply highly specialised „A parts“, such as displays or special controllers for highly specific tasks. In electronics, like every industry, there are certain popular „long runners“. We can provide these for a good price in high volumes at short notice. 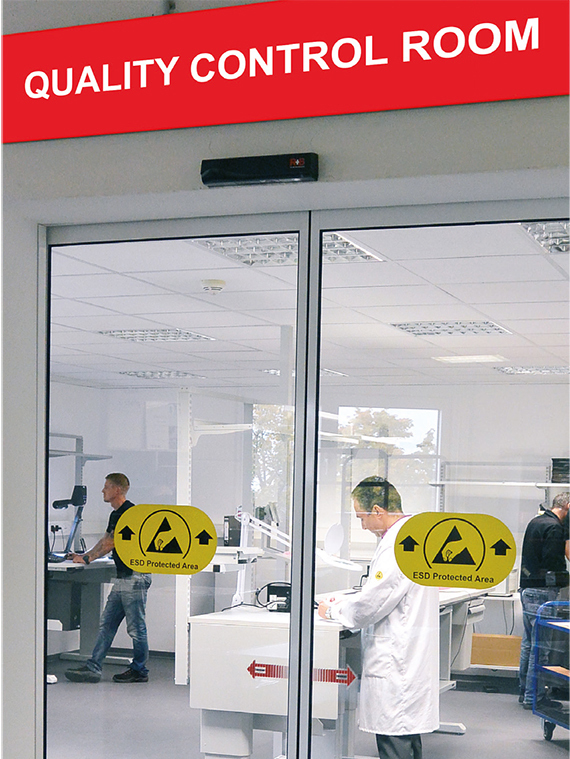 That is how GLYN makes sure you are always production-ready. Special requirements call for individual solutions. At GLYN, we help you to fi nd the right component for every purpose – and to do this, we get actively involved in the design and circuit board development process. Do you have a problem? We will create the solution together! We would be happy to expand our supply chain to source components globally via our close international contacts, on request. There is nothing worse than stationary production lines! At GLYN, we can offer you security. We will provide you with various highly effective concepts to reduce the occurrence of such unpleasant and costly situations from the start. As a logistics partner, we offer you the whole world of electronics, whether its displays and systems, semi-conductors, storage solutions or other high-quality components you want. Clear and transparent arrangements combined with our system-controlled logistics services provide you with a secure supply chain for development and production. In the electronic components market, we face the challenge of millions of items. Depending on the item, delivery times can vary from immediately in stock to 26 weeks or longer. With all these influences to bear in mind, you need a reliable and consistent supply. Our logistics systems help, thanks to their high degree of automation – while, conveniently for both sides, helping to reduce workload and process costs, and increase availability. The solid basis for all our systems is the fast, accurate and comprehensive exchange of data, which can only be electronic due to high volumes. A framework agreement with clear and flexible conditions for both sides is what forms the basis of our supply chain. This involves defining the supply with the required components and setting up a safety stock with the corresponding obligations. Based on your forecast figures, we can plan supplies independently of replenishment times. When demand fluctuates, you can take full advantage of the forecast to achieve maximum flexibility. A dynamic production system should go hand-in-hand with a dynamic supply system. 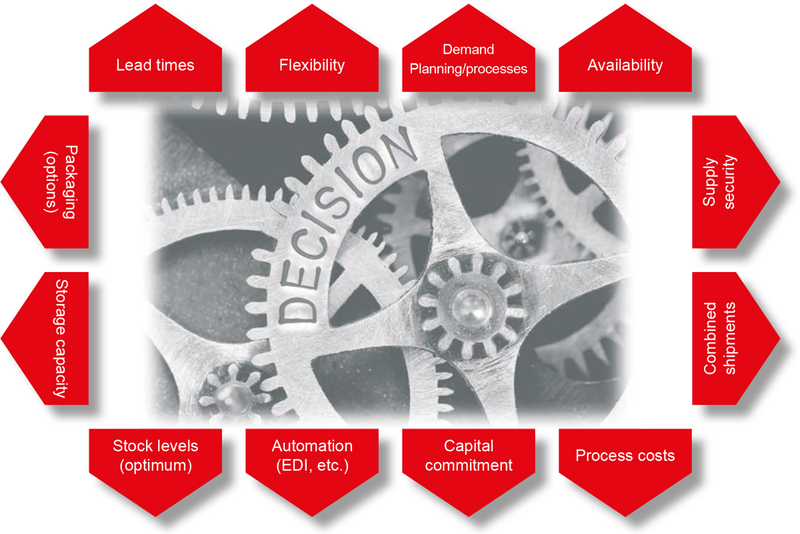 We defi ne and determine the optimum processes in the supply system based on your deciding factors. 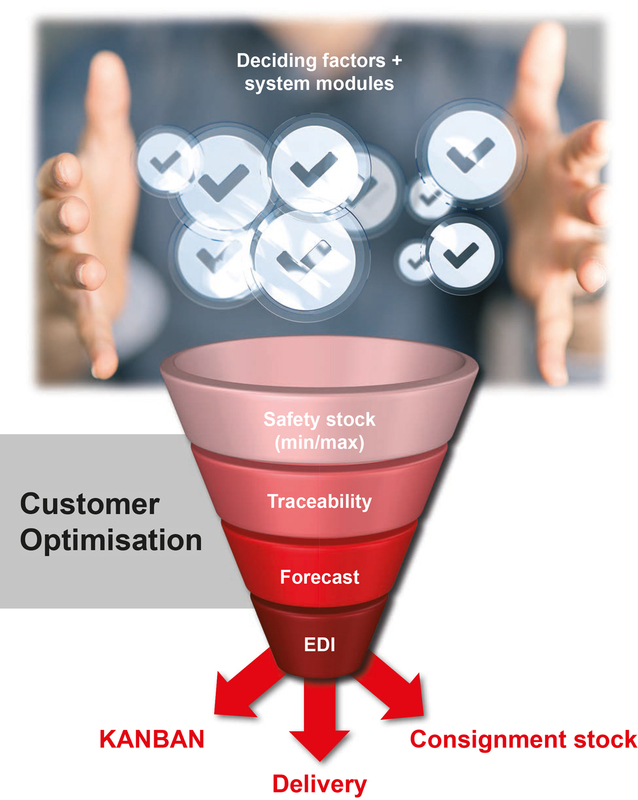 This allows us to provide a Supply Chain Management system optimised to your needs with an automation concept, logistics modules and control of all automatic functions – both operationally and strategically. Select and combine the right system support for you with the appropriate supply systems for your needs. Ask us about potential connections to your ERP System. To provide you with the highest level of service and flexibility, we work with external service providers when required. 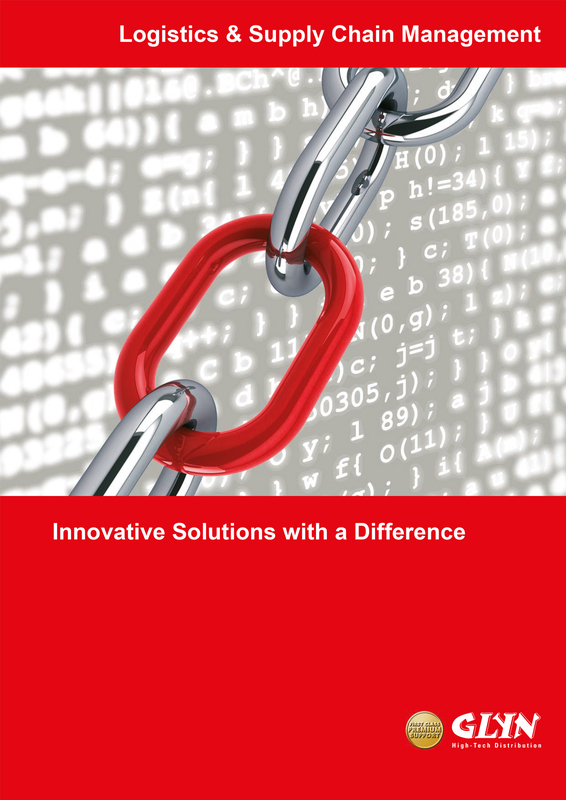 This enables us to meet special requirement profiles – cost-effectively, quickly and flexibly. Together we will find the optimum solution for your needs and requirements. For example, we can help you with the long-term storage of components. These must be stored under specific conditions to prevent corrosion or damage by environmental influences. We deal directly with our partner to avoid long communication channels and guarantee rapid processing of your order. Usually semiconductors are supplied on plates, or trays. Do you require the product on reels for your production process? We transfer the microchips onto reels to make further processing simpler for you. The right programming for the right component: With our service provider, we ensure the correct programming of your components. We take care of everything including ordering blanks and programming chips with your software.